Versatile economy cap slips on and off easily. 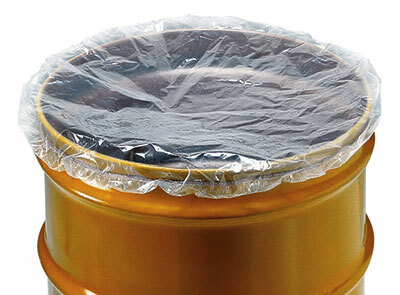 Elastic-banded, reusable cap fits tightly over round or non-circular containers to keep out dirt and moisture. Clear poly allows for instant content identification. Made to fit up to 11-1/2" diameter pail.